Amber PET oblong bottles offer a polished look while providing effective UV protection and other barriers for your products. The black polypropylene lotion pumps dispense high viscosity products at .5 ml per stroke and include a locking position, reducing unwanted discharge. 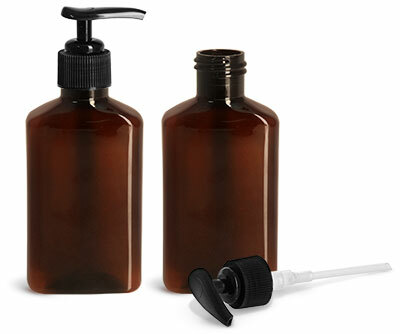 Test these oblong amber plastic bottles to showcase products in numerous industries including bath and body care, and much more.